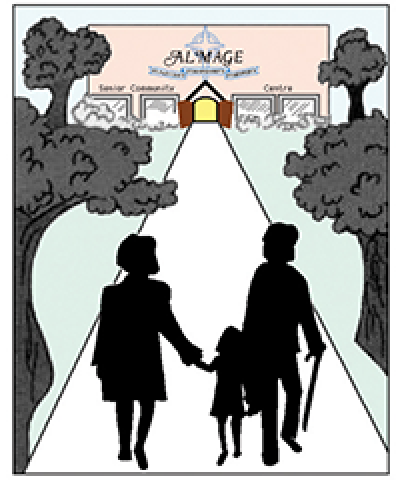 The Almage Centre serves the English-speaking 50+ community of east-end Montreal. Our community centre is a home away from home to all, where we assist members in developing healthier lifestyles. We provide quality programs and offer support services that maintain and enhance everyday living. The centre also offers a Home Support Program to the less autonomous senior who is unable to attend the centre’s programs. We also offer a wide variety of volunteer opportunities. Centre programs include: community meals, exercises, knitting, special events, cards, carpet bowling and a Men's Group. Home Support Services include: take-out meals, transportation, medical accompaniments, calls, visits and advocacy. Satellite centres are located in Rosemont and Montreal-North.